Long-used by South Pacific islanders to soothe the nerves, kava is now one of the top-selling herbs in this country. But promoting tranquility in one of the most serene corners of the world is one thing while easing tension in a society of revolving debt and traffic jams is another. Is this ancient remedy a solution to modern-day stress and anxiety? 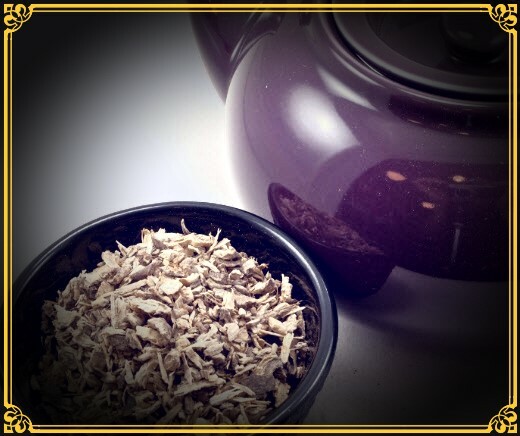 Found in the plant’s roots, kava’s main calming ingredients are known as kavalactones. These fat-like substances relax the body and induce sleep, acting somewhat like the tranquilizers Valium or Xanax, although researchers aren’t exactly sure how the herb works. In Germany, kava remains one of the most popular doctor-recommended remedies for frayed nerves. The German Commission E, an FDA-like panel of experts that evaluates the safety and effectiveness of botanicals, has given the herb its stamp of approval. Critics have questioned whether there’s a sound scientific basis for recommending kava in supplement form. Kava supplements, after all, are nothing like the sharp-tasting, homemade South Seas brews traditionally served in coconut shells (although you can still order the herb this way in South Pacific kava bars). Nor is the herb being used in the traditional sense. Polynesians drink kava to relax at social gatherings and tribal ceremonies. They don’t pop a pill because they’re anxious about boarding a boat. A handful of short-term studies, most conducted in Europe, have found that kava helps reduce tension and improves mood in people who complain of stress, anxiety, or certain phobias. In the most recent report, presented at a symposium on alternative therapies last year, scientists followed 60 men and women with chronically high levels of stress and anxiety. Half the subjects got two 200 mg kava pills a day, while the others took a placebo. After four weeks, only the kava users showed a significant reduction in daily stress from personal relationships and other types of hassles. To date, there has been only one longer-term controlled study on kava, which lasted six months. Although it found that kava relieved anxiety far more effectively than a placebo, it and other research suggest that kava may not be a quick and effective remedy for people with unusually severe anxiety. Nevertheless, there is compelling anecdotal evidence that kava eases the tension caused by everyday life stresses. The herb appears to relieve mild anxiety in less than an hour, but studies have found that it typically takes a week to exert a meaningful effect. People report that the herb helps them to feel relaxed, content, and more willing to socialize. At a reasonable dose, kava will not affect your ability to think and reason, and there is no sluggishness the next day. In some respects, then, kava is the Polynesian equivalent of alcohol, minus the hangover and slurring. Doctors in this country are beginning to pay kava some notice. Dr. Roberta Lee, the senior fellow at the program of integrative medicine at the University of Arizona Health Sciences Center in Tucson, recommends kava for some of her patients, particularly those who suffer from anxiety on a regular basis. “At this point,” she says, “it appears it may be safer than conventional anxiety medications.” She warns, however, that kava should not be combined with drugs such as Valium or alcohol because it may cause excessive sedation. And she would advise pregnant or breastfeeding women not to use kava because it can pass into breast milk. She also stresses the importance of combining the herb with other anxiety-reducing techniques, such as hypnosis and breathing exercises. The University is currently beginning a long-term study of kava for mild anxiety. For bouts of stress or nervousness, take up to 250 mg of a standardized kava extract three times a day. Higher amounts may cause you to feel disoriented. Take with food for best absorption. Although side effects are few–mainly stomach discomfort–long-term use (more than three months) may lead to discolored, itchy skin. The FDA has recently issued warnings on kava due to its adverse effects on the liver. Before using this herb, please read this entry.